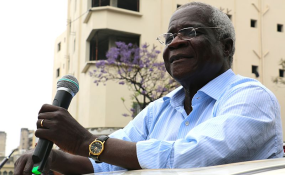 The late Afonso Dhlakama (file photo). Maputo — Mozambique's Deputy Defence Minister, Patricio Jose, on Wednesday, said that the demilitarisation of the former rebel movement Renamo is going ahead with any major hitches. Last month, President Filipe Nyusi signed a memorandum of understanding with the Renamo leadership on the disarmament and disarming of the Renamo militia, and integrating its members into the armed forces (FADM) and the police, or back into civilian life. Shortly after opening a forum in Maputo on military training and education, Jose told reporters that, despite some difficulties which he regarded as minor, the integration of Renamo militiamen in the army was taking place "as planned". But he declined to say how many Renamo armed men have been recruited in the FADM and police so far, but promised the figures will be released "in due time". At the opening session of the three day forum, Jose urged the FADM to improve continually its training and educational procedures. He wanted to see a multiplication of technical and scientific activities within the armed forces, focused on the goal of national development. "Our debates should be an opportunity for reflection and for defining innovative guidelines in the context of education and training", he said. "We are encouraging each participant to put forward ideas and experiences to improve military education". These reflections, Jose added, should help drive forward the modernisation of the FADM, so that it can meet its responsibilities as laid down in the Mozambican constitution.